Bulgaria's three electricity distribution companies - E.ON, CEZ and EVN - have called on the State Energy and Water Regulatory Commission (SEWRC) to set higher levels of investment so they could improve the quality of services and electricity in line with their investment plans, BTA reported. Representatives of the three electricity distribution companies participated on Thursday in a round table entitled "Industry at a Crossroads", organized by the "Utilities" magazine. The three companies argued that as the prices of energy sources are trending up, the prices of electricity and heat energy cannot be kept down. Instead, energy consumption should become more effective, and low-income groups should get state support, the companies said. 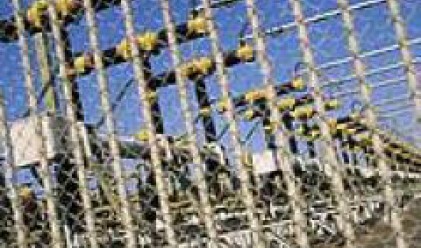 The decision about the price of electricity from July 1 expected from the State Energy and Water Regulatory Commission (SEWRC) will set the scene for the next five years because this is the beginning of the second five-year regulatory period, said Manfred Paasch, Chairman of the Managing Board of E.ON Bulgaria. He said the regulator had approved expenditures of 77 million leva, which cannot cover even the wages and depreciation allowances. In addition, only a small portion of the investments approved for the next five years can be used for improving customer service. Atanas Dandarov, head of CEZ Bulgaria's Management Directorate, said that the SEWRC cut the company's estimated depreciation allowances and working expenses respectively two and three times, and that the expenditures approved by the regulator would not cover payroll expenses. Likewise, EVN Bulgaria representative Gocho Chimshirov said the electricity prices proposed by the regulator would cause problems in repairing faulty equipment and in setting priorities. Without sufficient investments in maintenance, faults will become more frequent. The company's proposed working expenses were reduced by 60 per cent from their 2007 level, and EVN Bulgaria will have to stretch its limited resources between fuels, equipment and wages. Ivanka Dilovska, head of the Energy Strategy Directorate at the Economy and Energy Ministry, said the time of cheap energy was up, with oil prices rising from 25 dollars per barrel in 2001 to 70 dollars in 2007 to an average of 105 dollars in 2008.